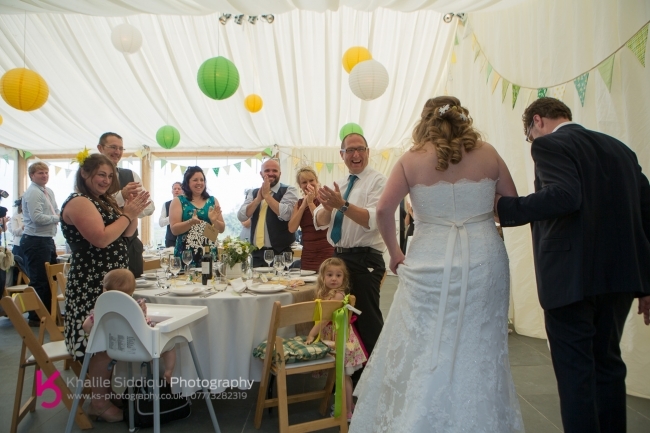 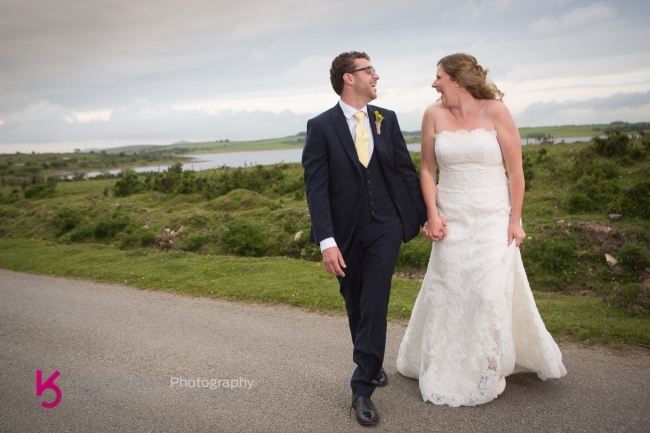 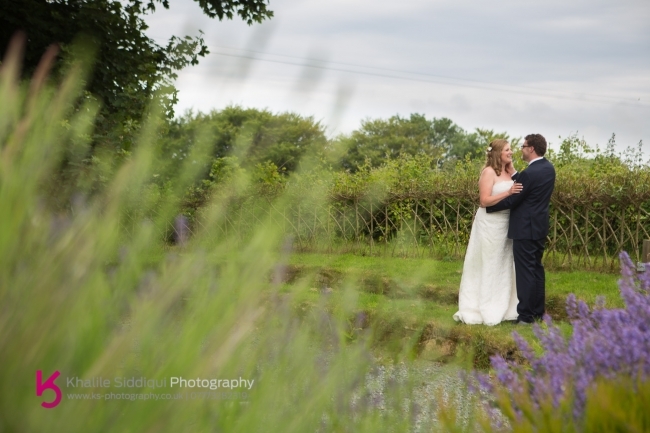 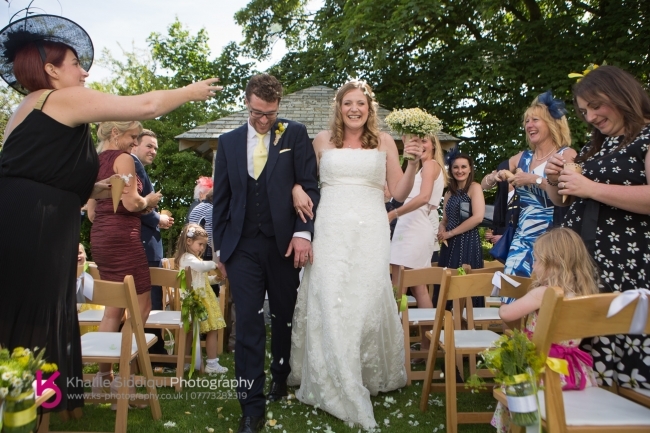 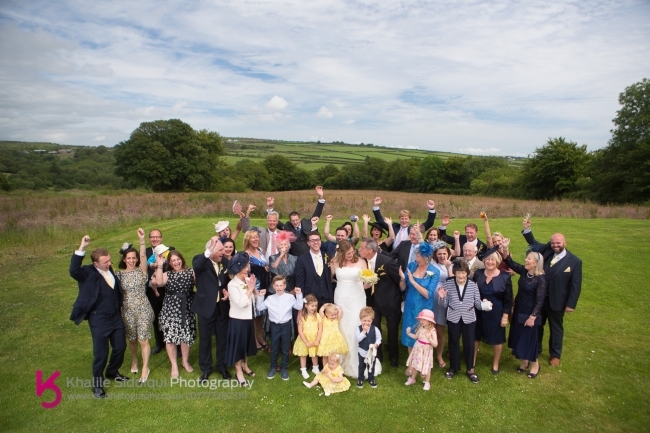 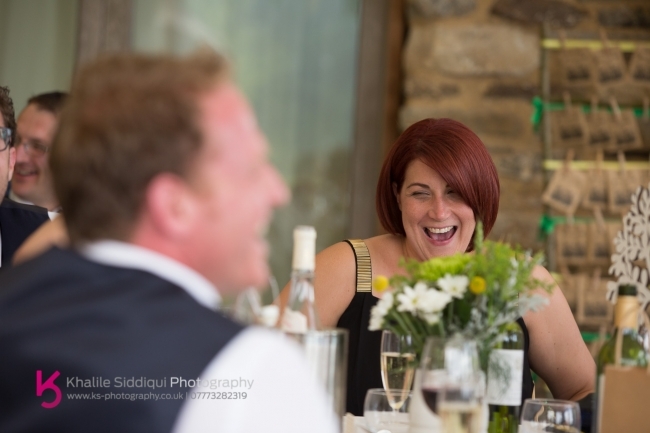 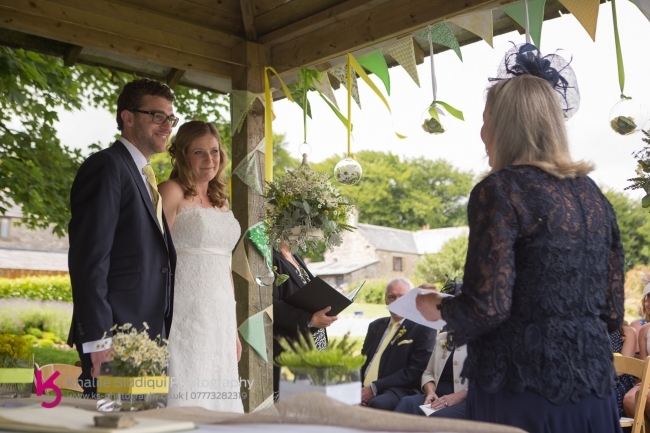 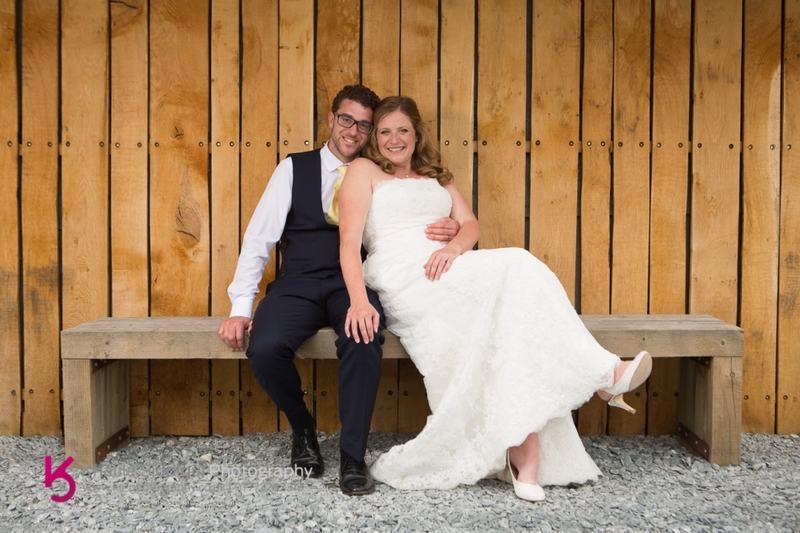 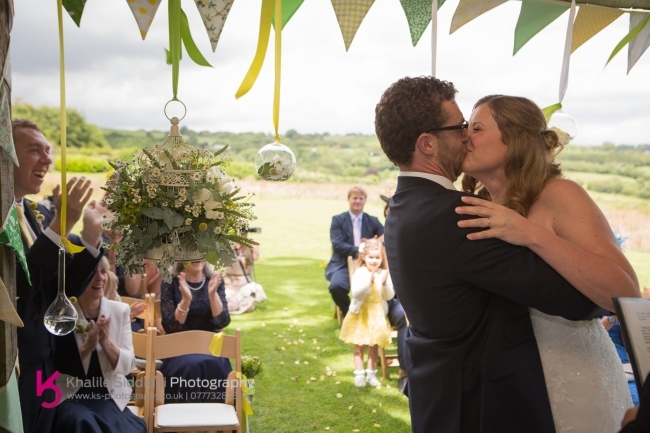 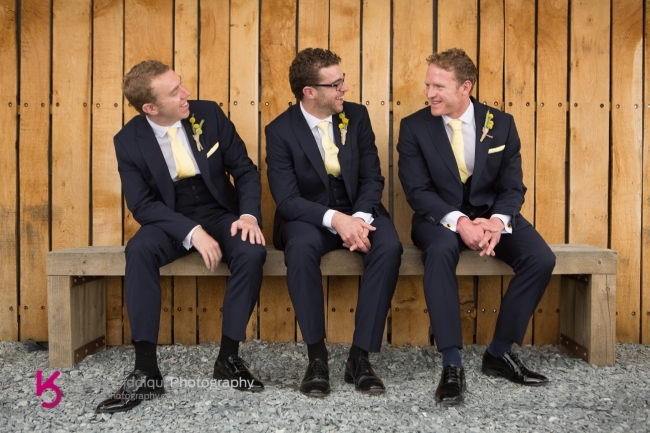 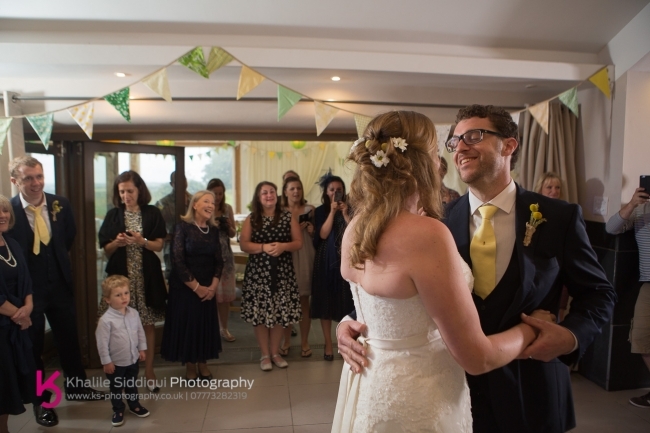 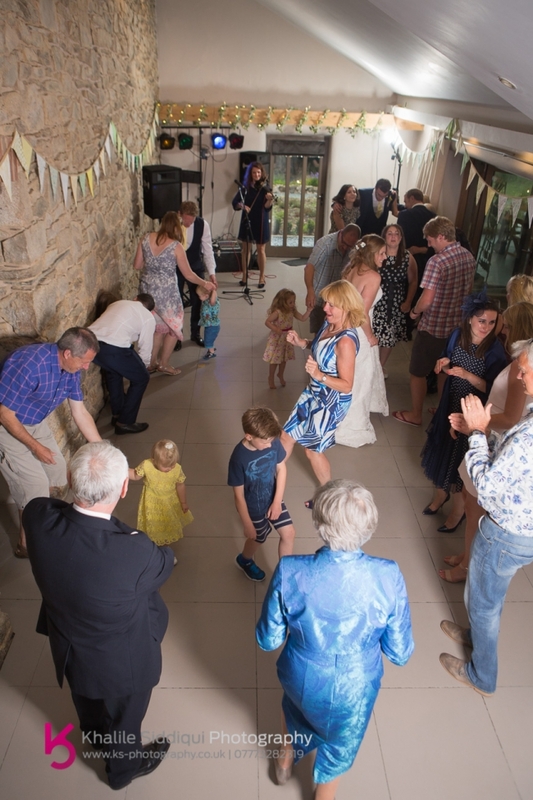 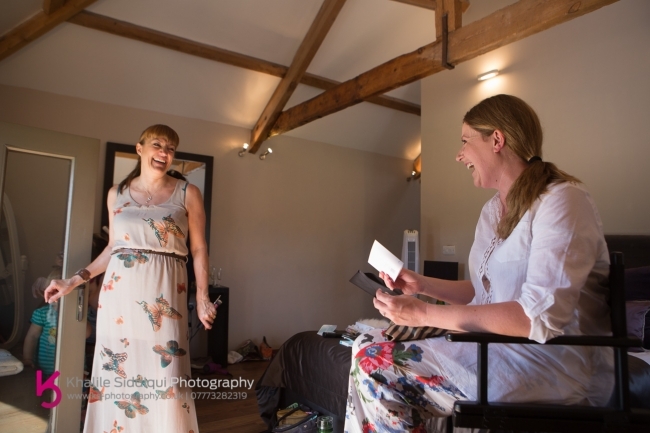 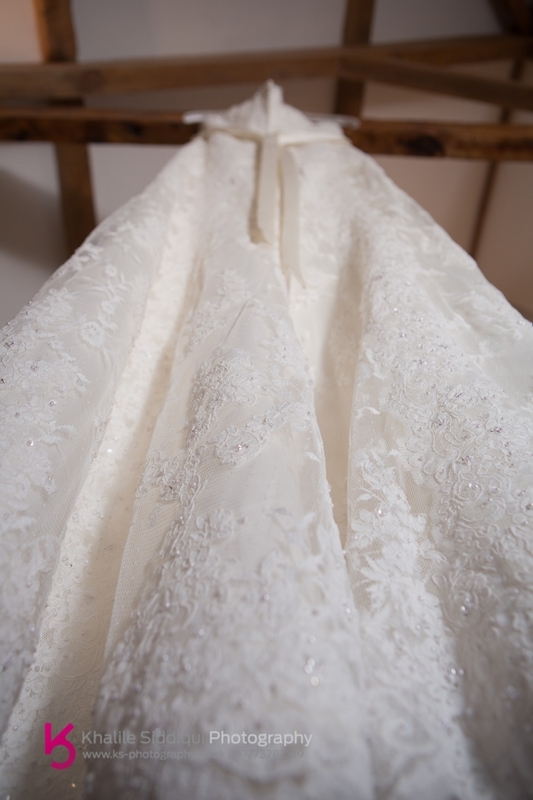 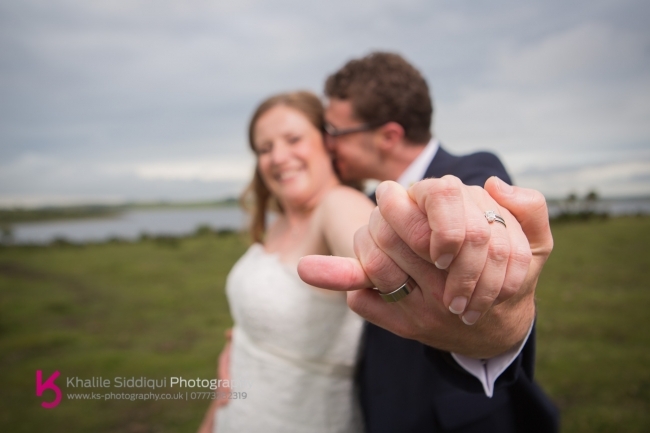 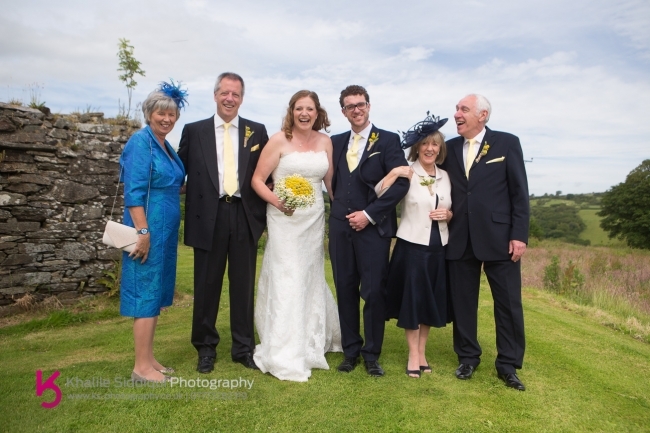 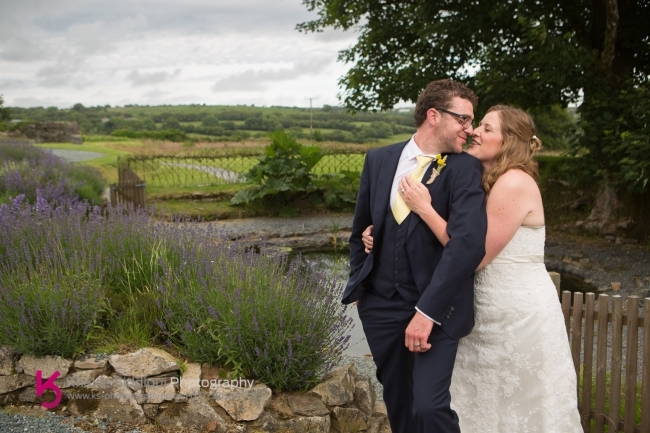 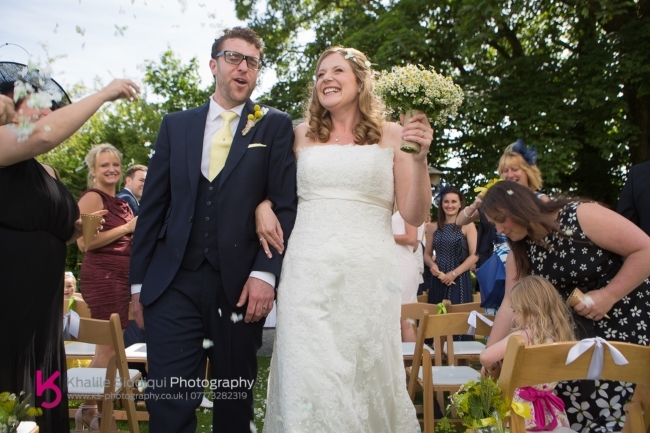 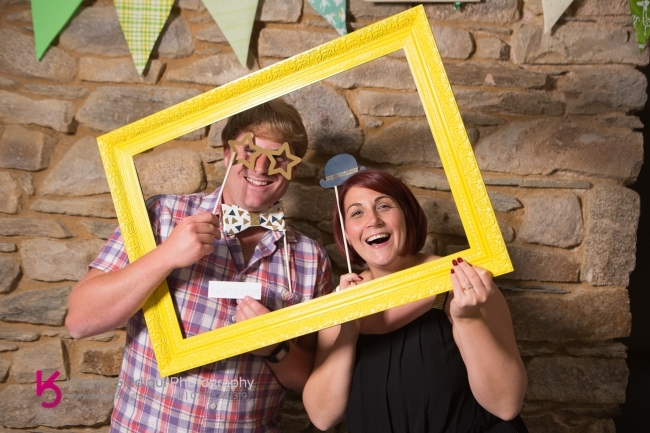 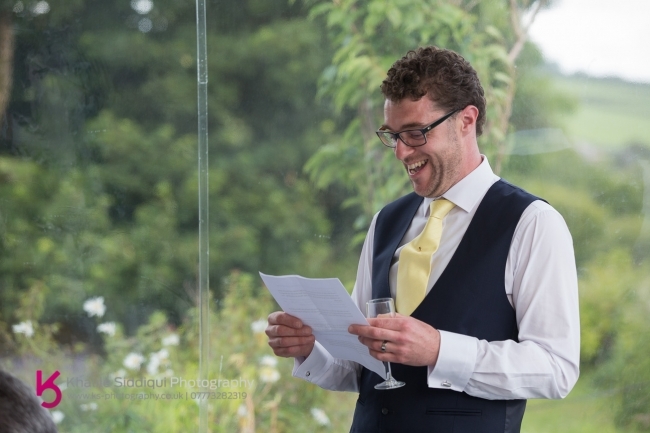 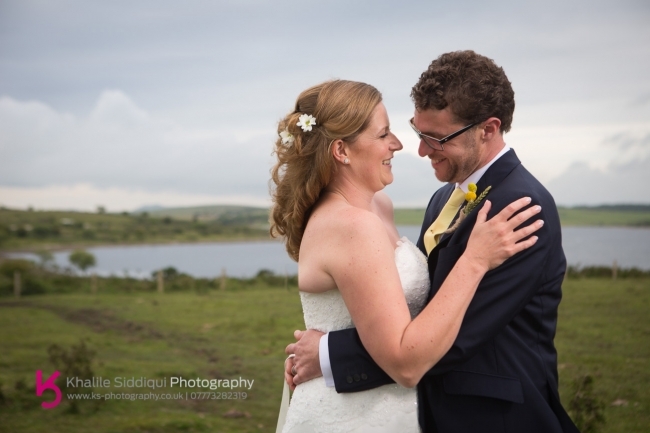 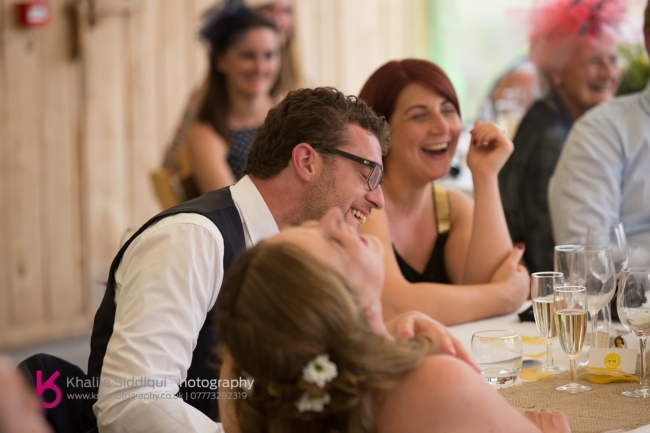 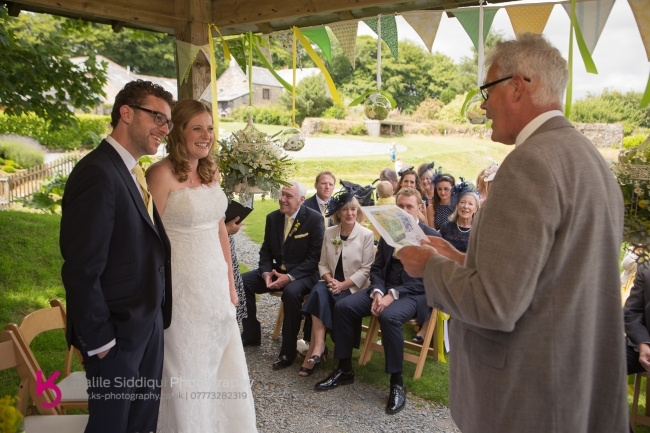 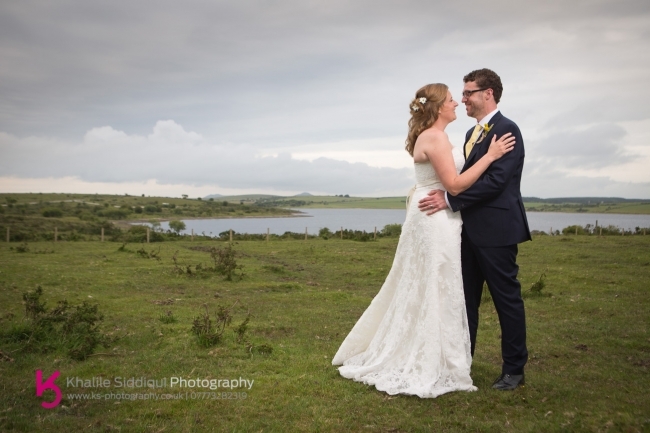 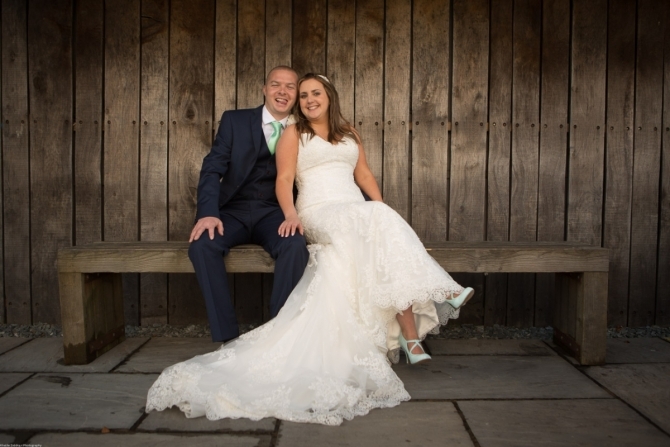 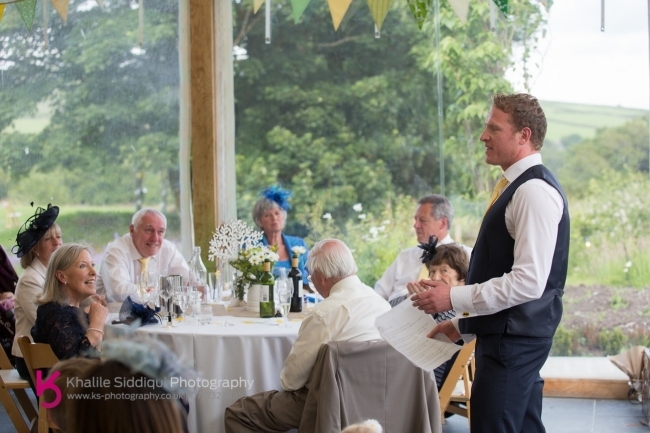 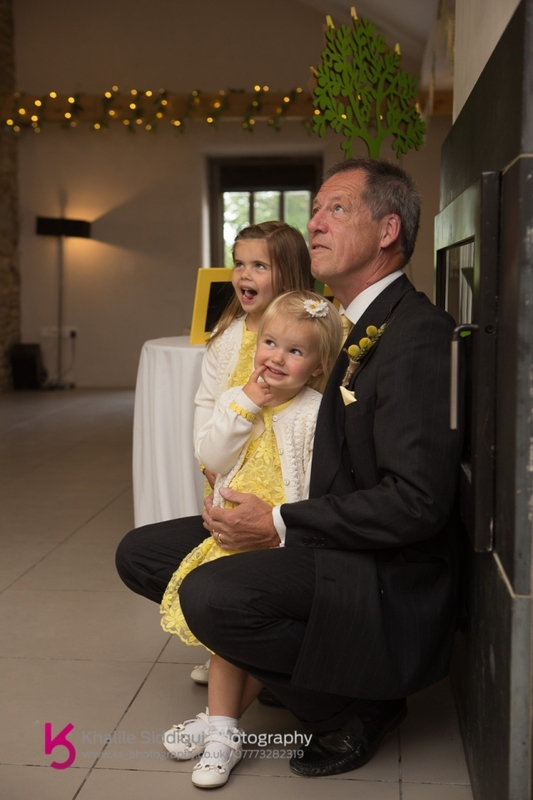 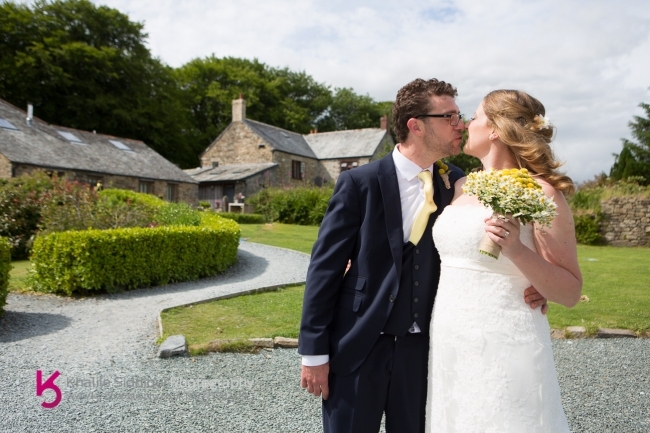 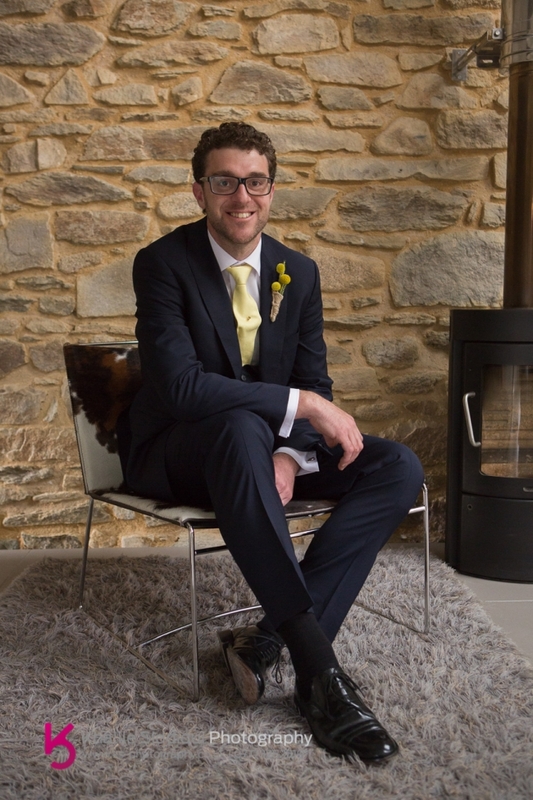 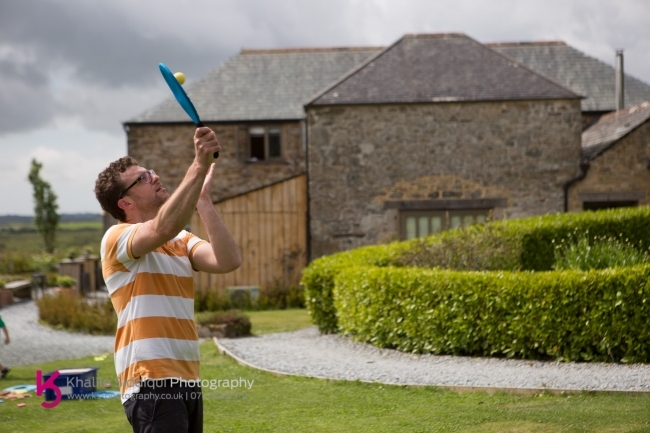 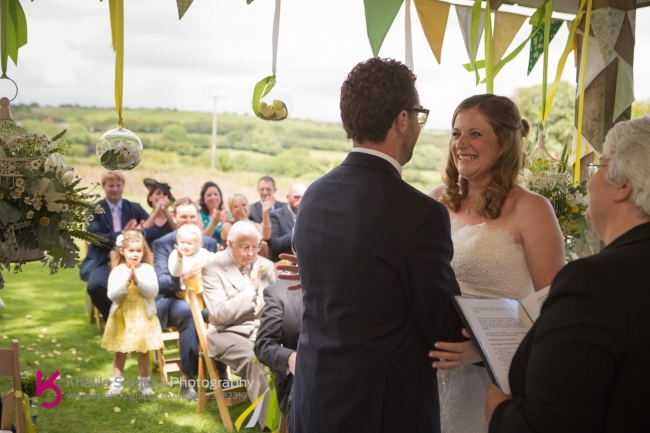 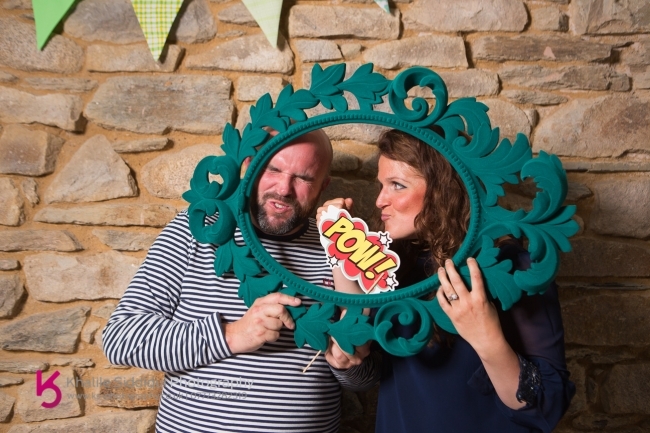 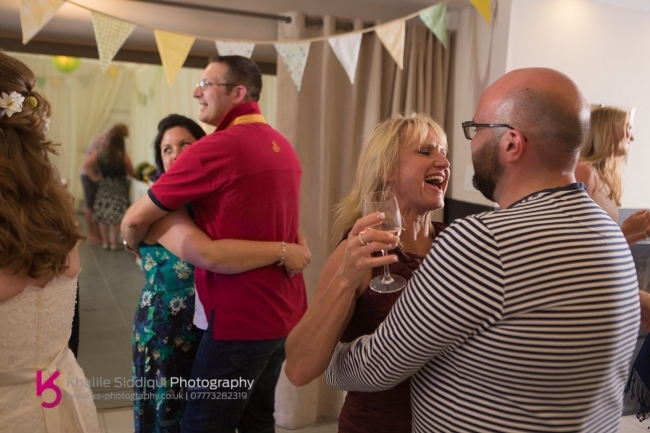 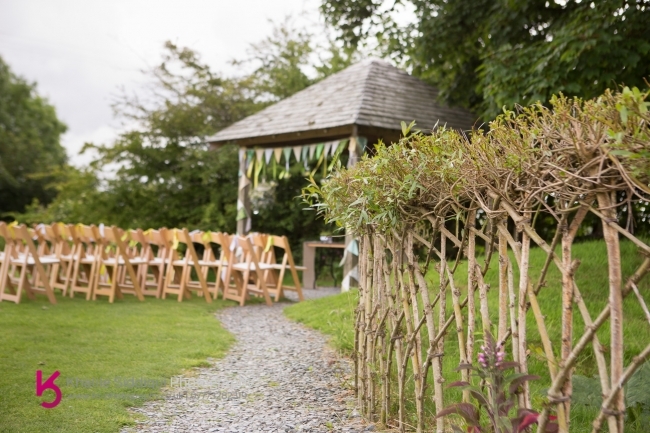 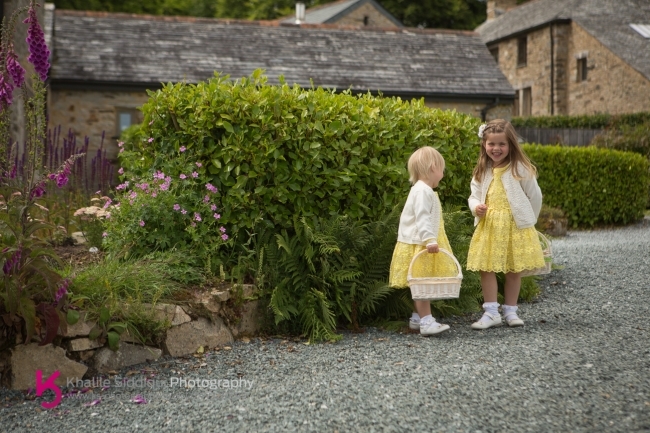 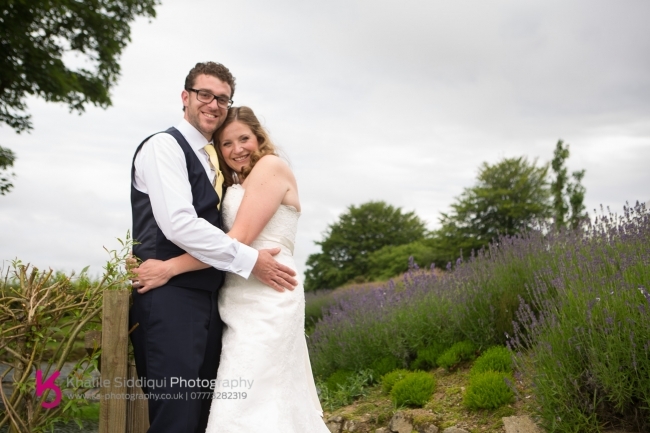 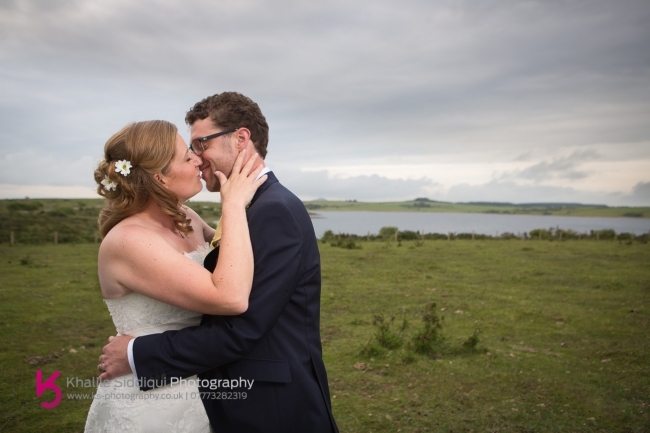 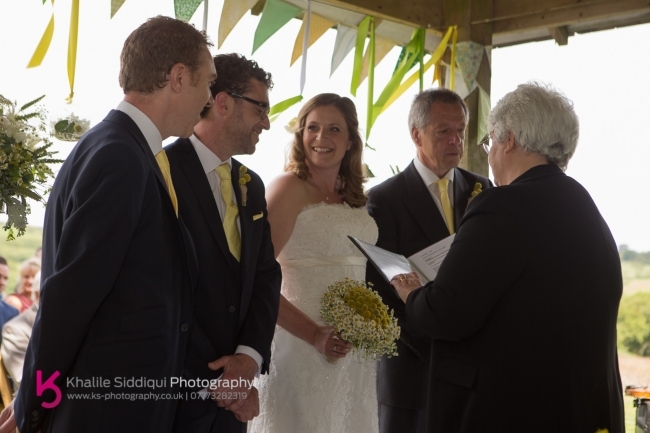 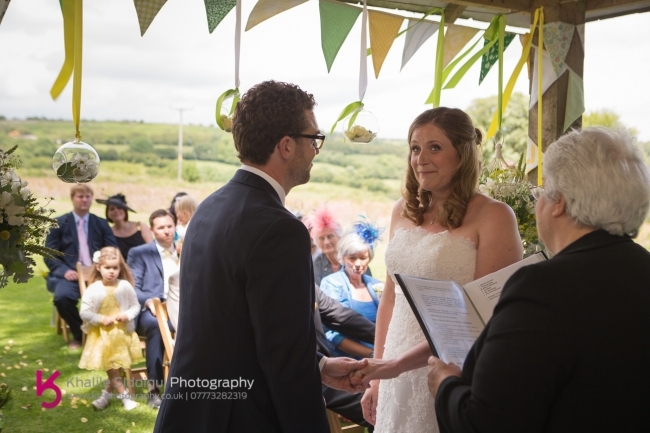 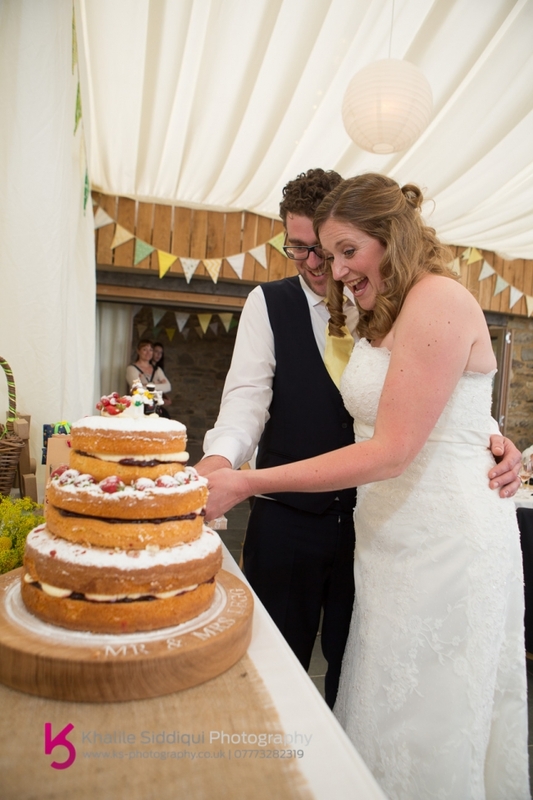 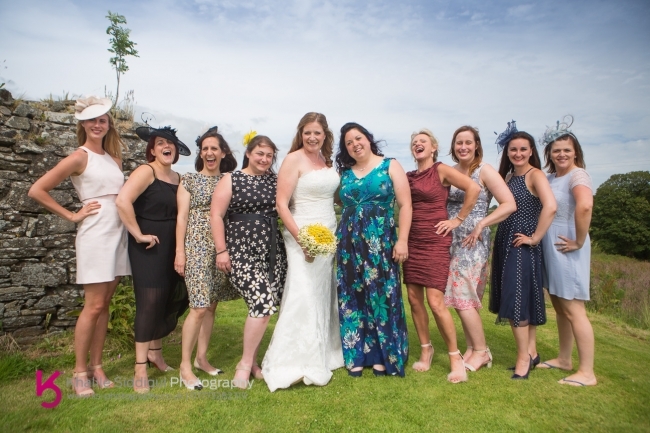 Vicki and Jon booked us for their Trevenna wedding after getting a tip off from Vicki's sisters best friend who used us last year for her own wedding in Padstow (Thanks Shona). 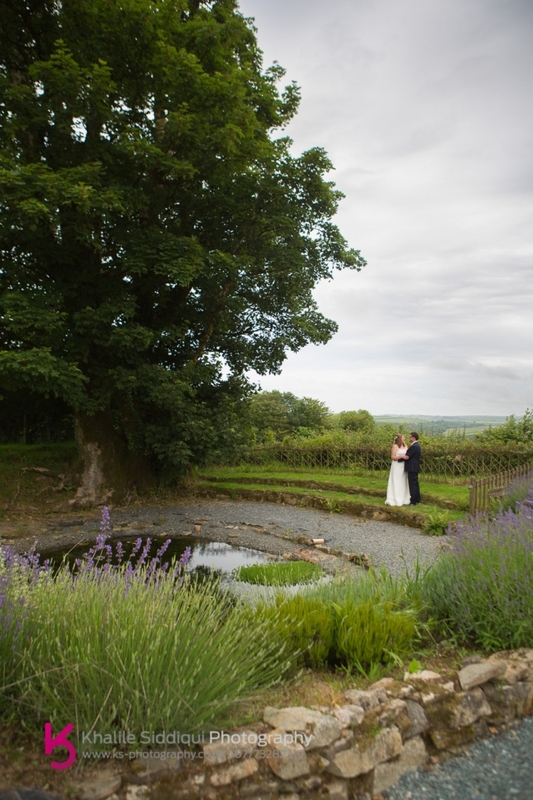 It's always a treat shooting at Trevenna, I've only shot about four weddings there up until now, but it's so great to see a venue always trying to push its boundaries, self analysing on how it can improve things, and give its clients a better service. 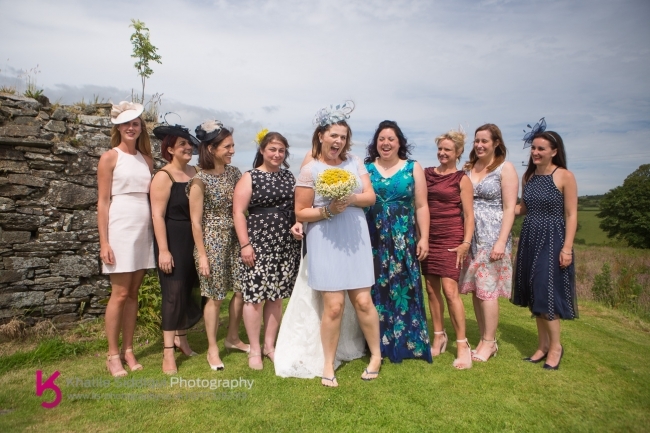 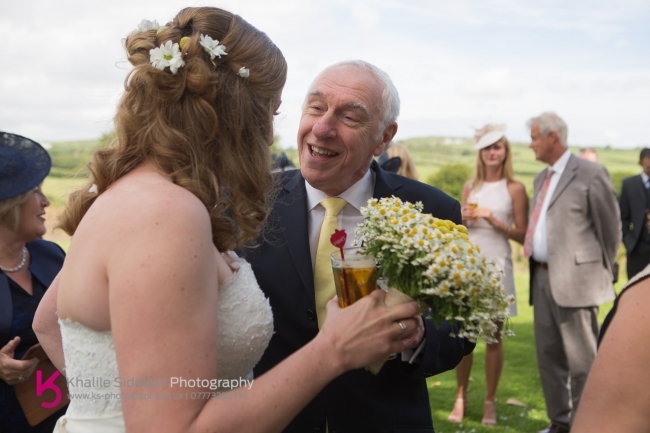 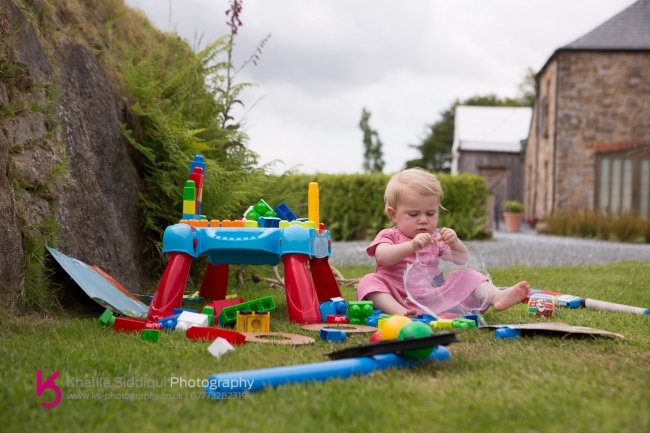 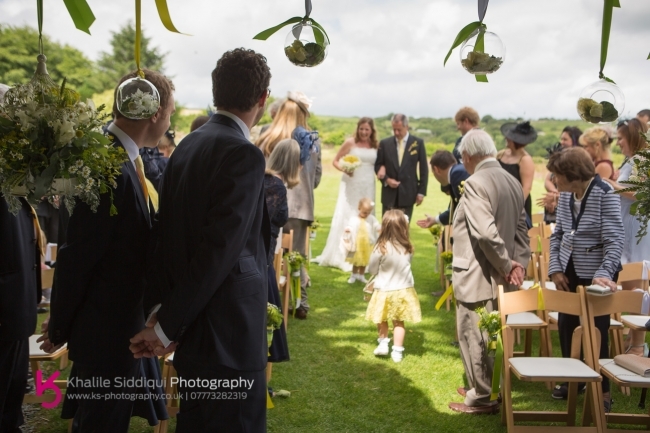 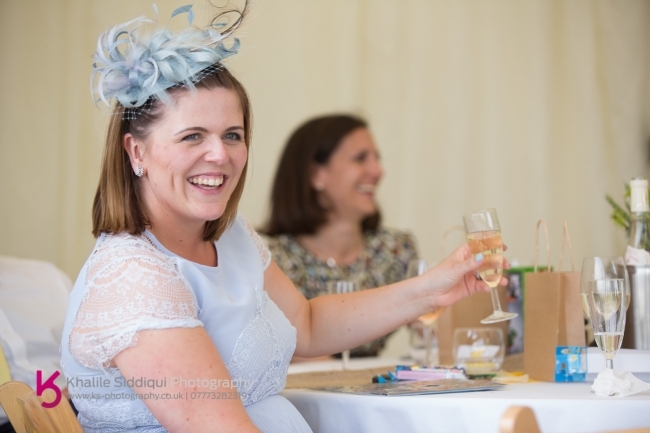 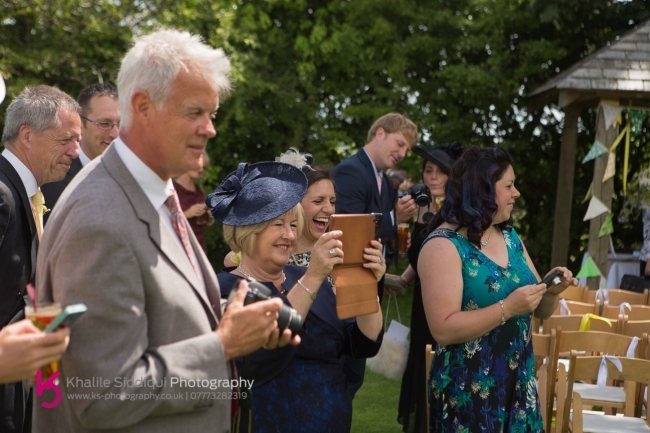 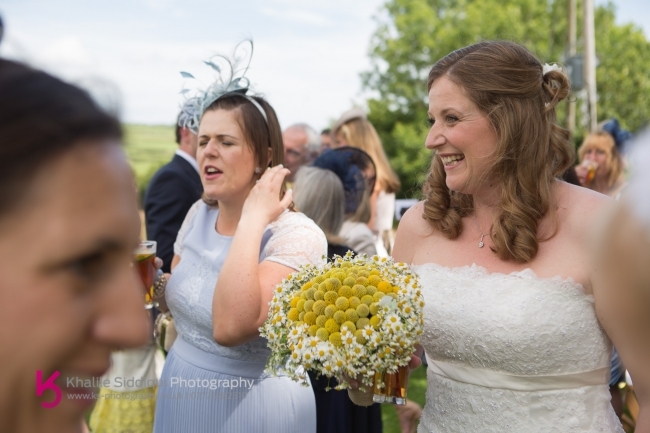 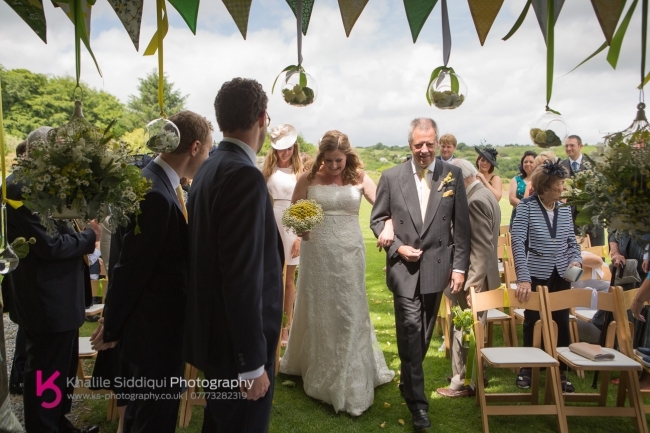 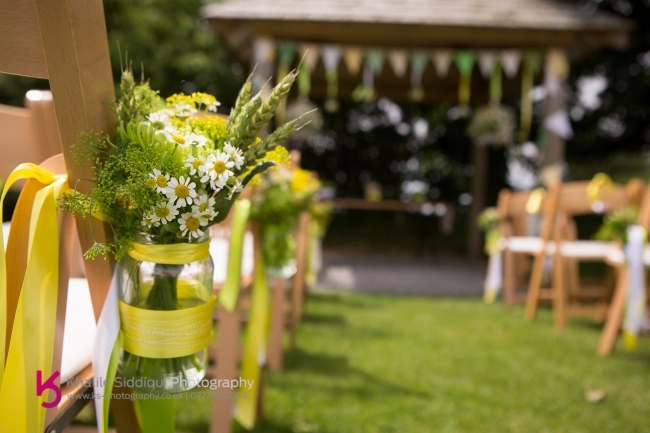 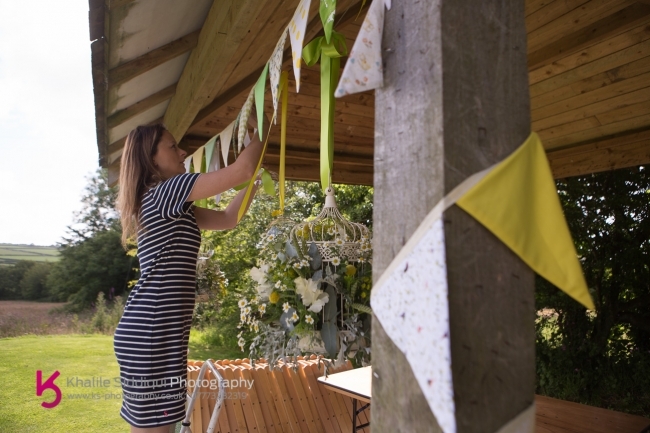 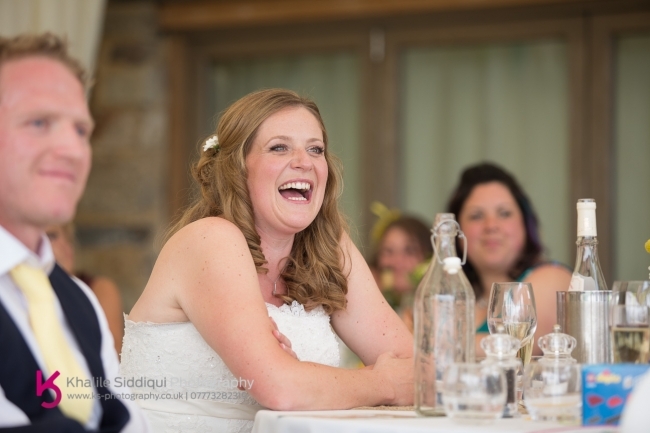 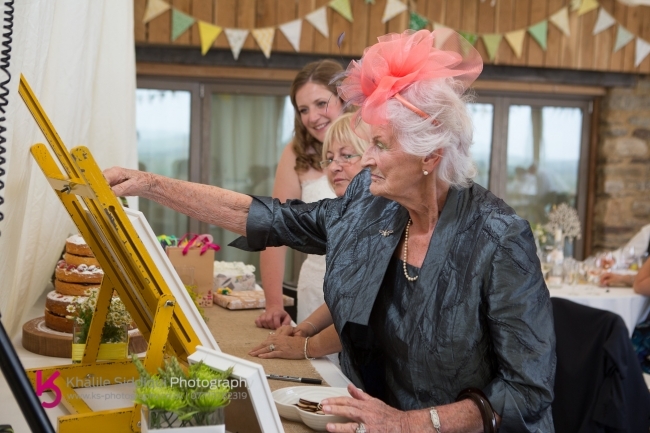 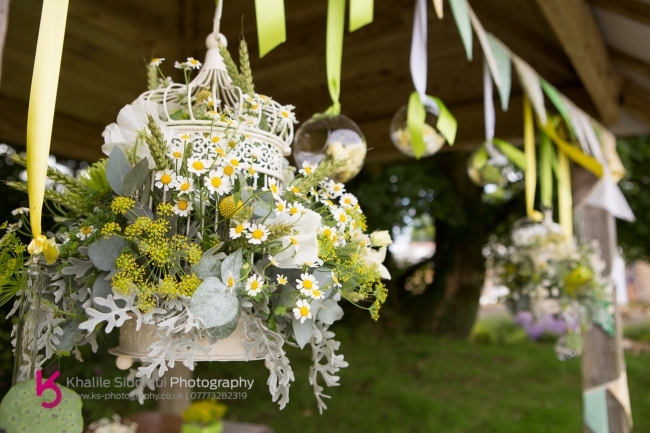 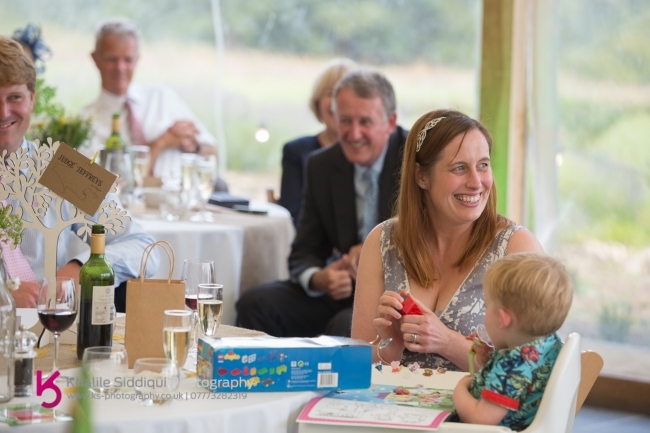 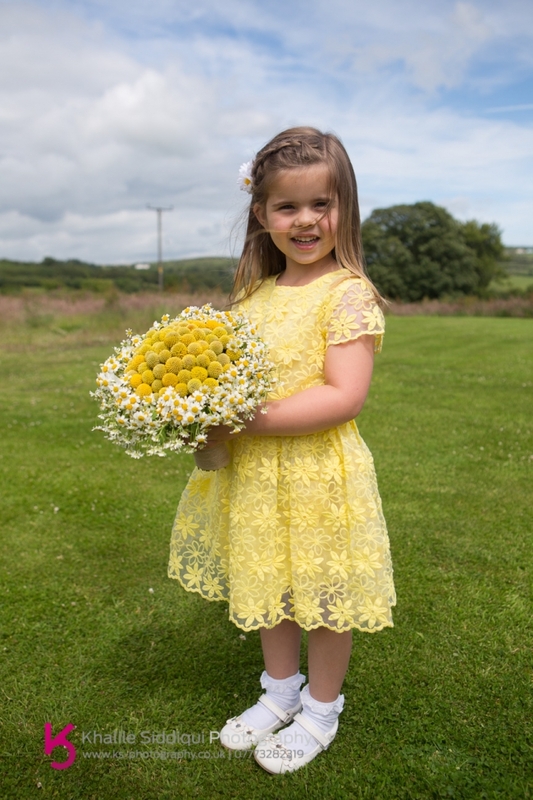 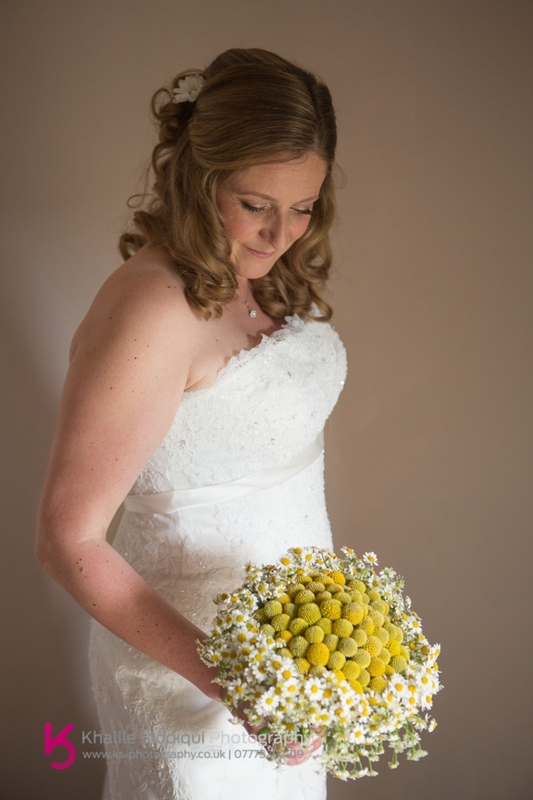 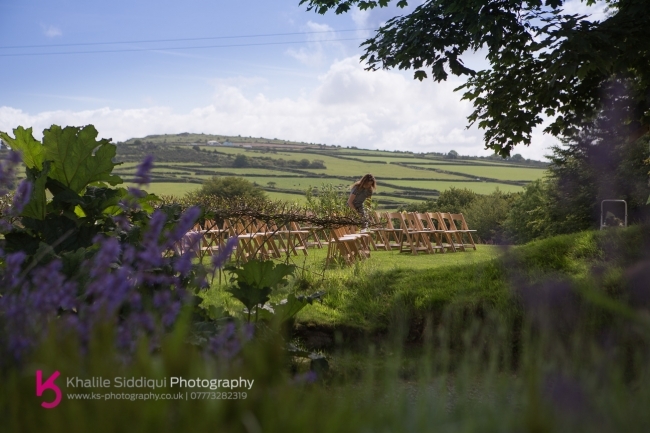 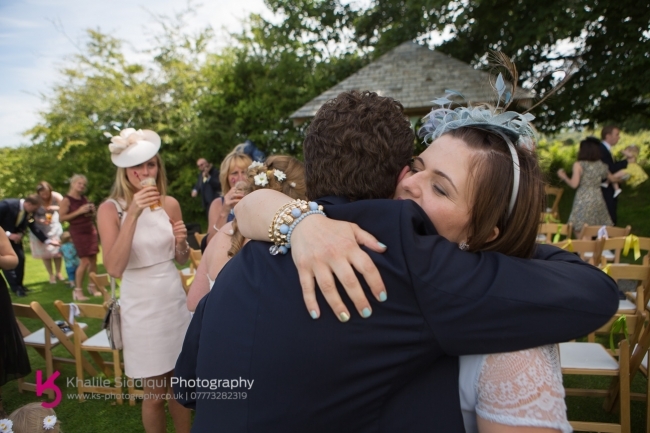 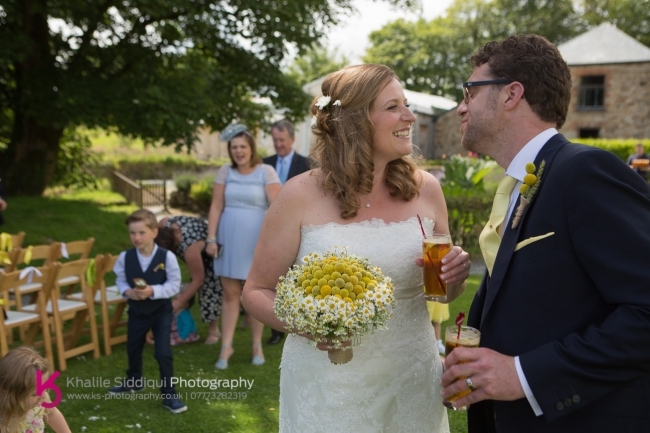 When I arrived (two hours after Tams, as she had loads of ladies makeup to do) everything was really calm with families playing games on the lawns, basking in the early summer sun, and I found the lovely Anna of Wedding Flowers In Cornwall busily working her magic around the site. 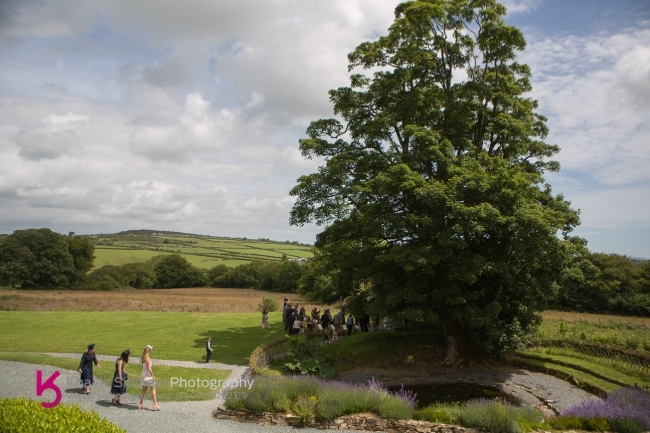 So after a little meander around the grounds I headed backwards and forwards between Vicki and Jon, and thats just one of the many beauties of weddings at Trevenna, the place is so relaxed and big enough for Vicki and Jon to be able to enjoy the buildup without having to hide too much from each other. 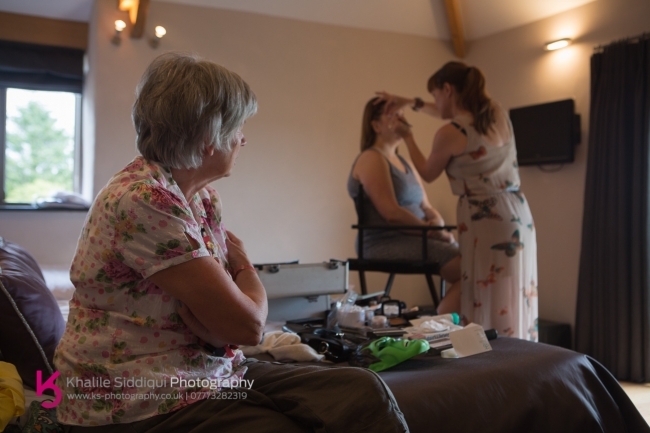 And I was able to flitter backwards and forward between the two of them while Tams was carrying out her makeup duties. 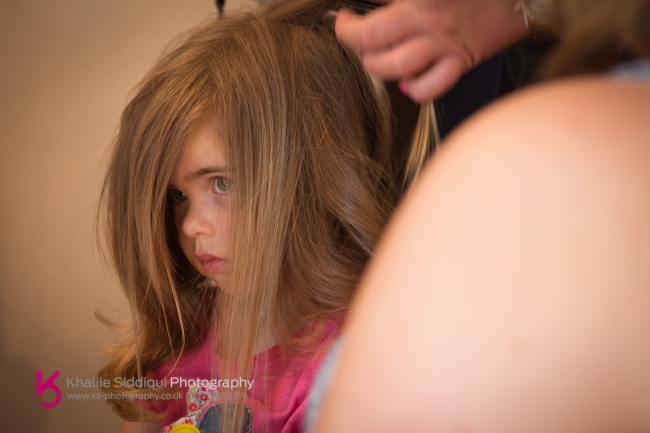 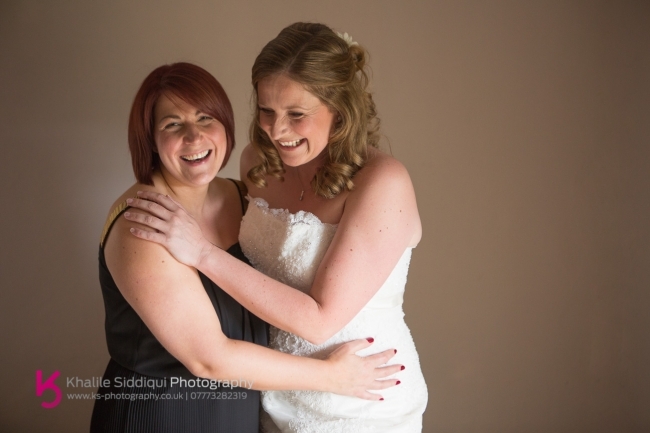 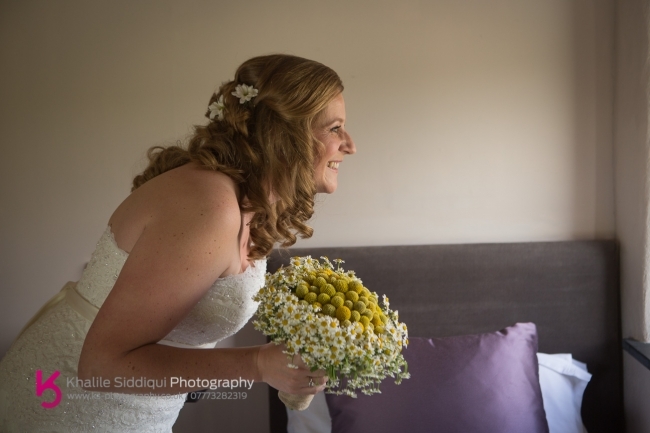 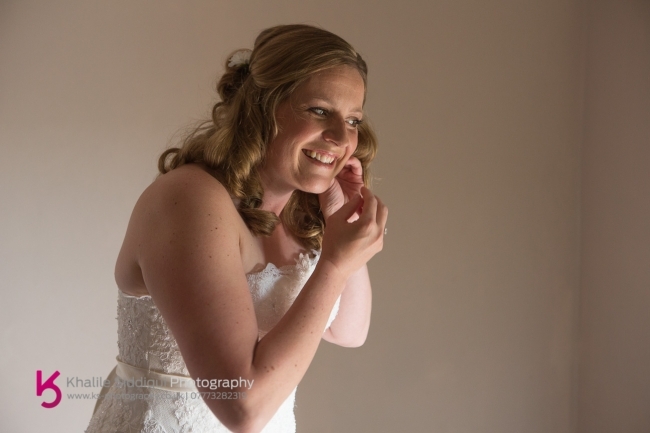 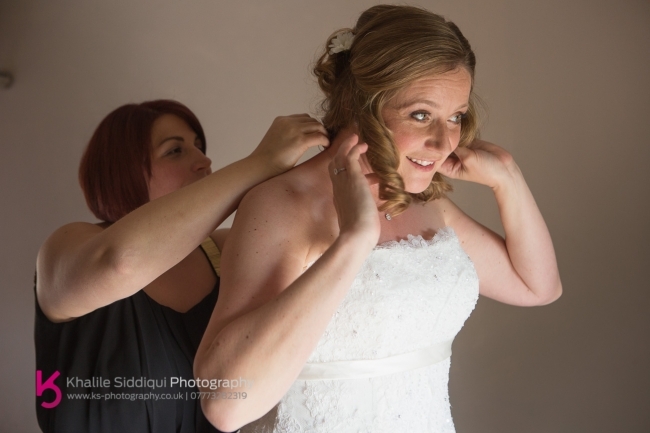 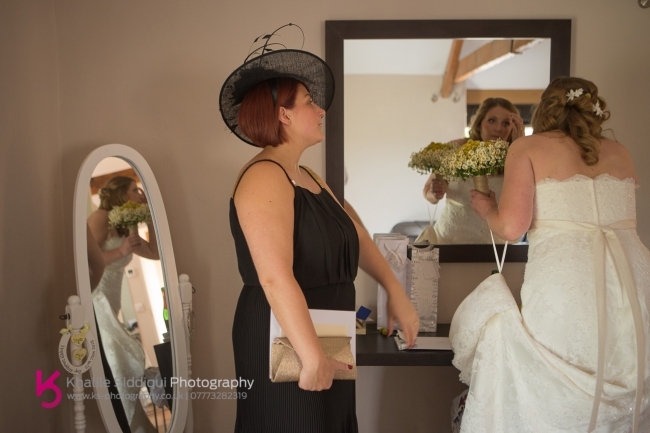 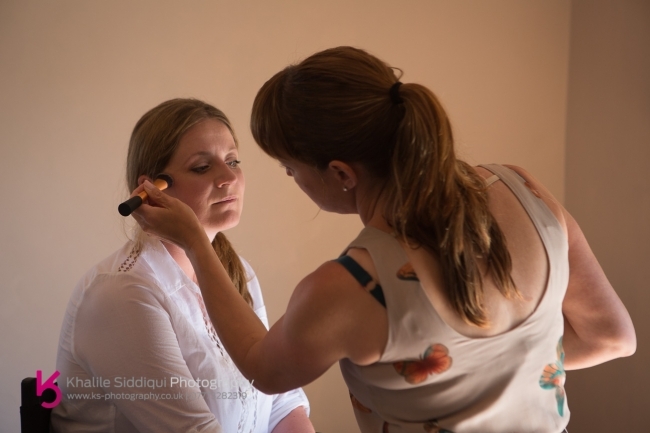 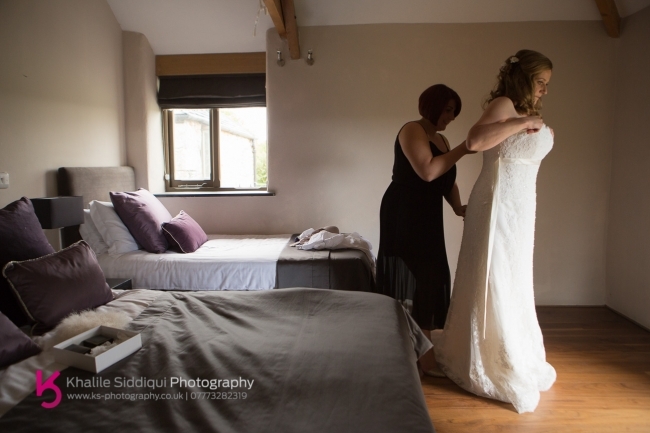 Vicki used the services of Sara Trevethan to have her hair done on site at the venue. 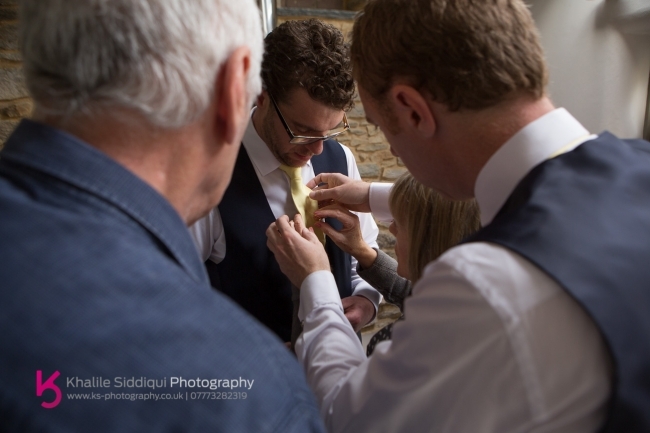 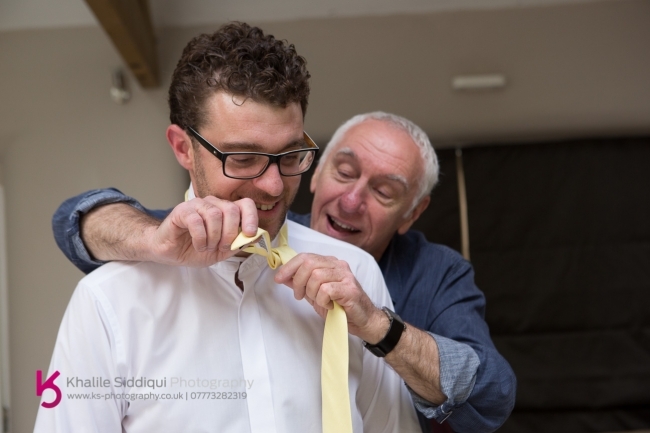 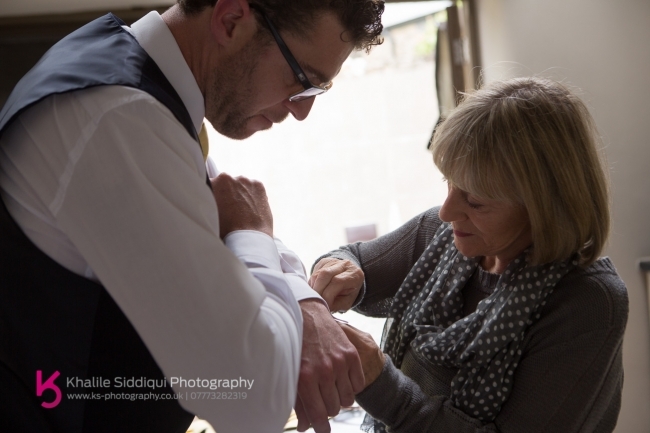 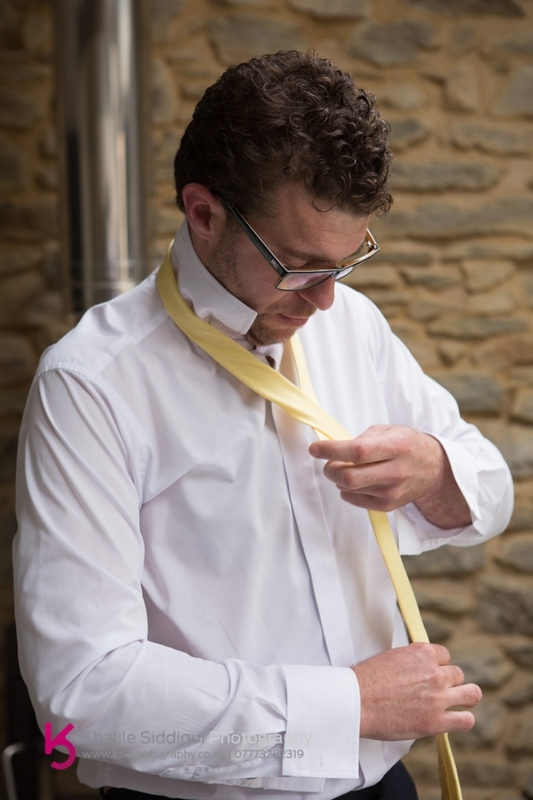 Isn't it funny nowadays how a lot of young gents just don't know how to tie a tie, so I found it really endearing that George, Jons dad stepped in to help with Jons windsor knot and mum Carol with his tie pin. 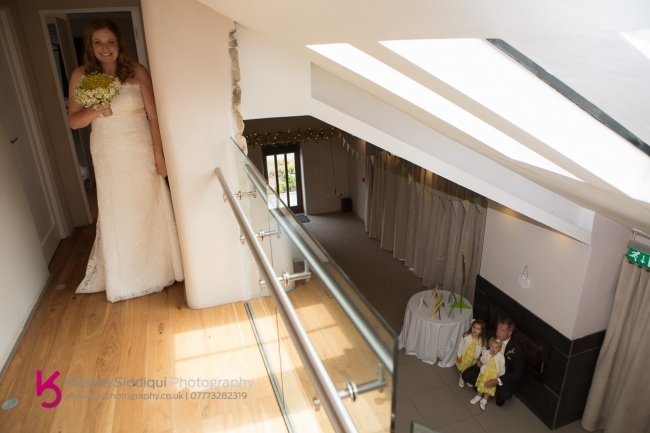 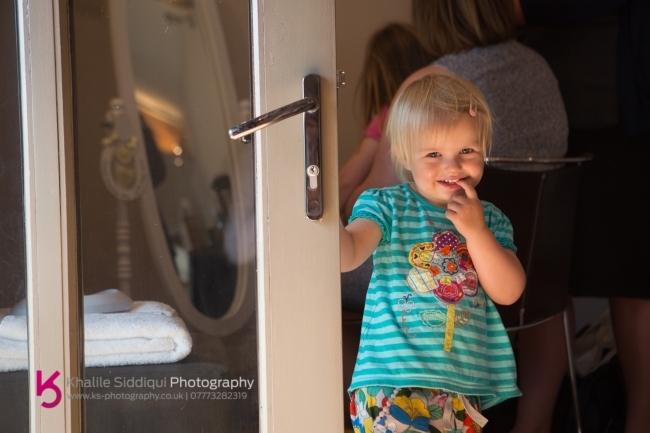 Saturday felt to me like the first proper day of summer and I think the guests were a tad reluctant to leave the bar so while they were making their way to their seats Vicki couldn't help catching a peak as they passed below her window. 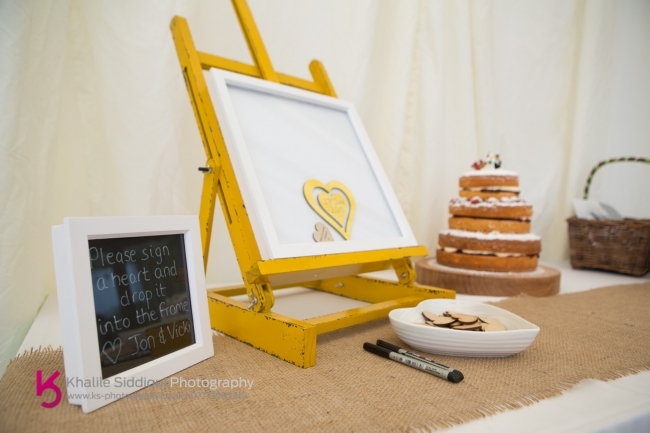 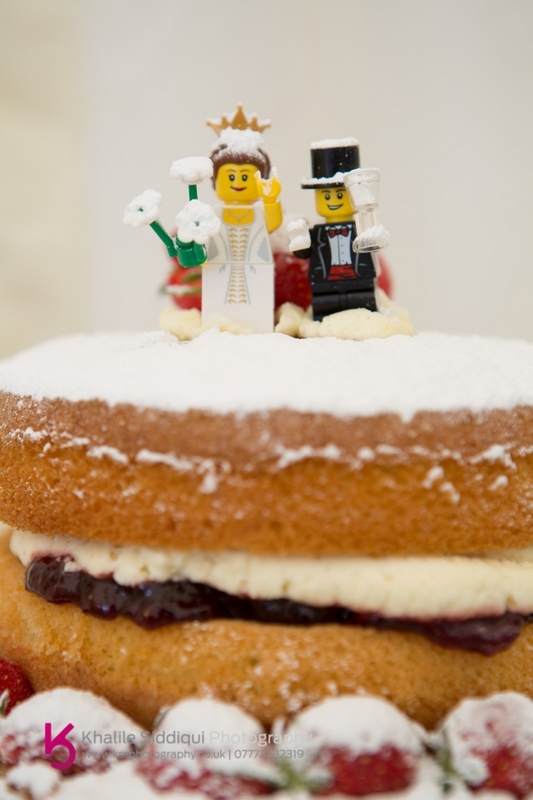 I loved the recurring theme of the Leggo throughout the day, and also the frame that Jon made with the heart shaped messages that the guests put into it, after seeing something similar on the 'Not On The High Street' website. 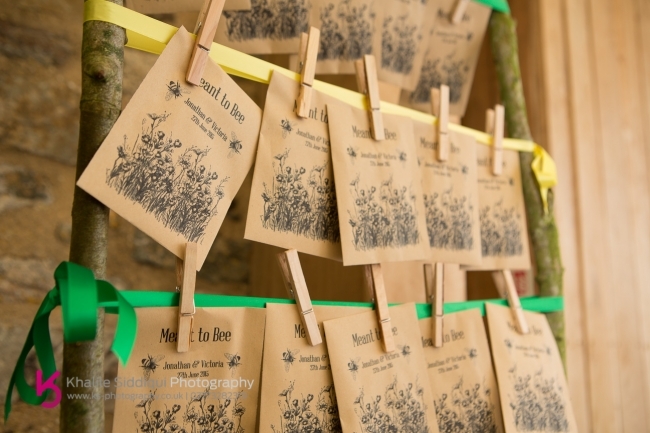 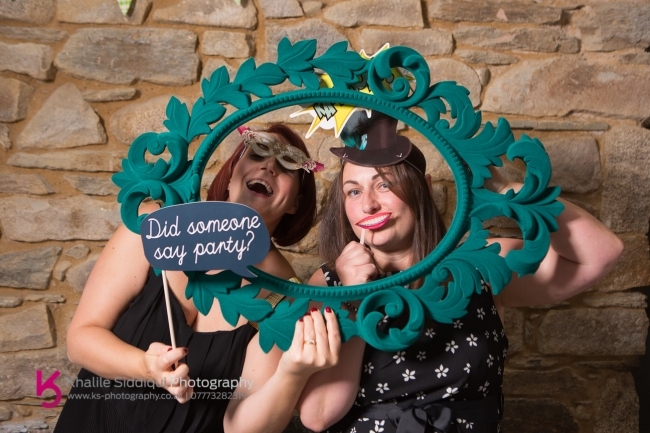 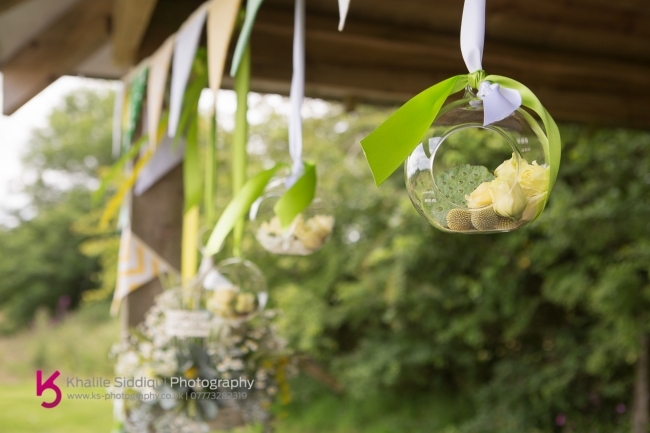 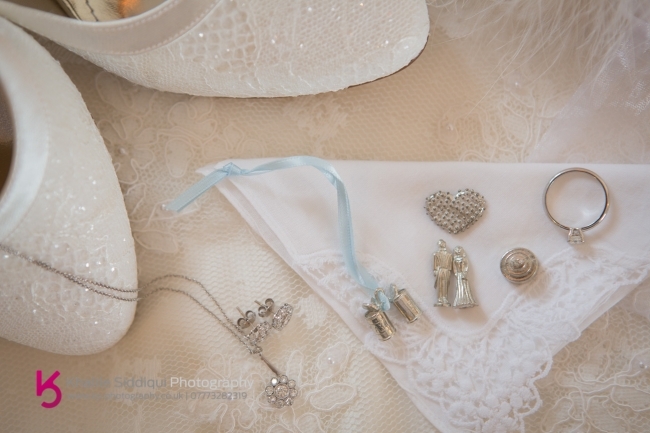 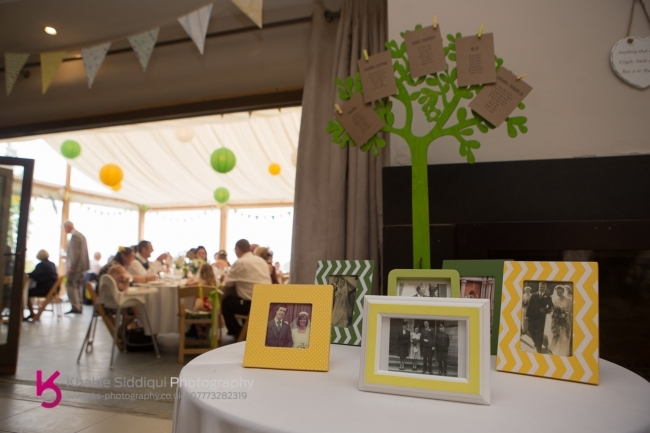 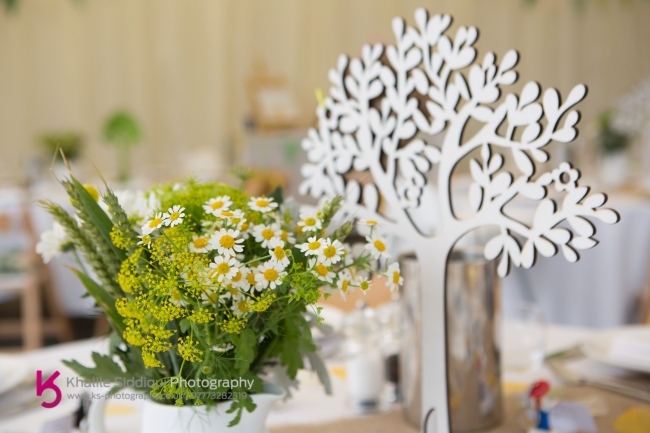 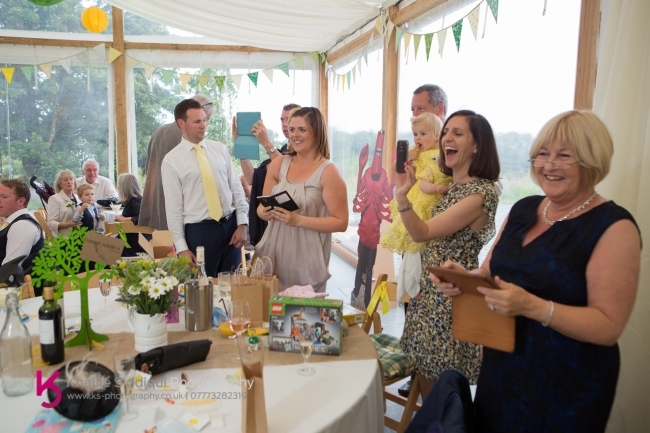 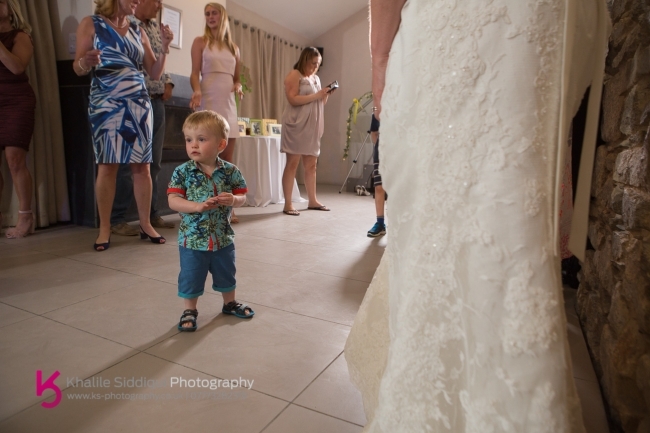 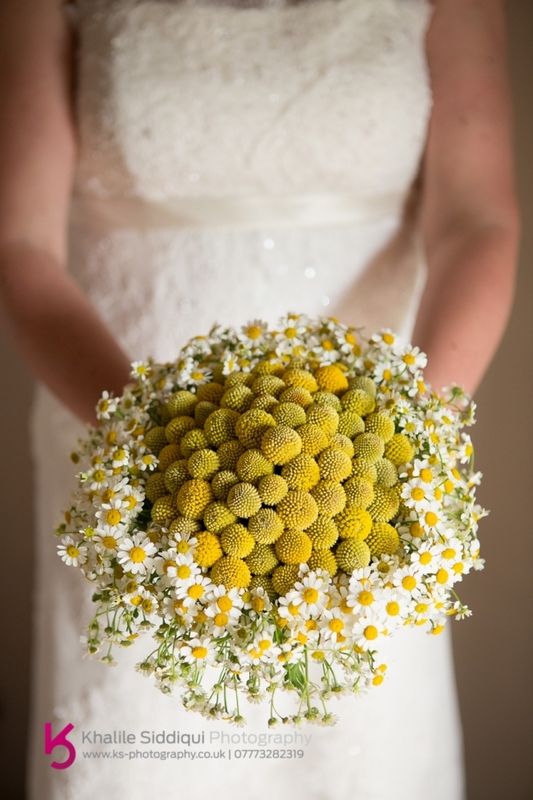 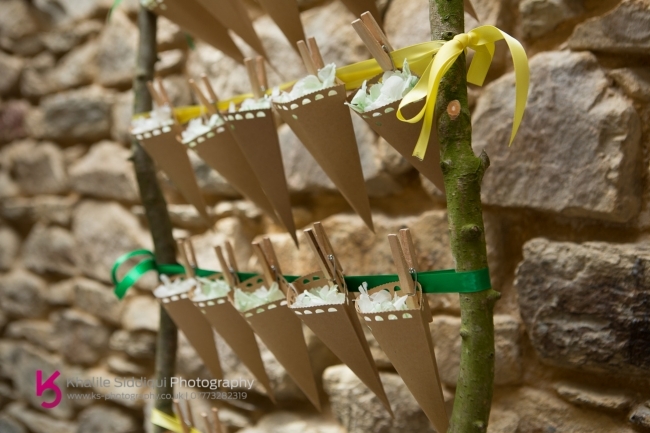 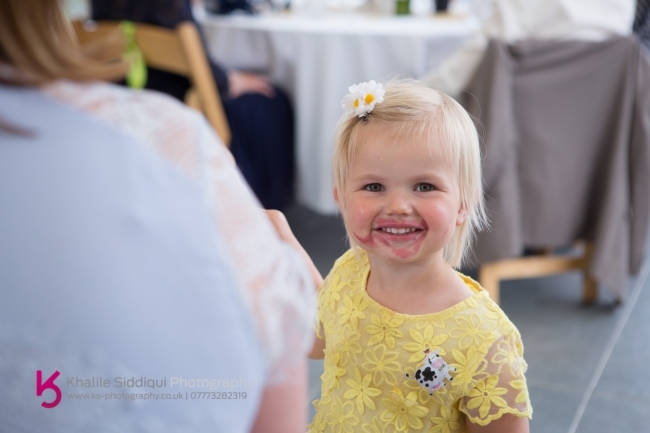 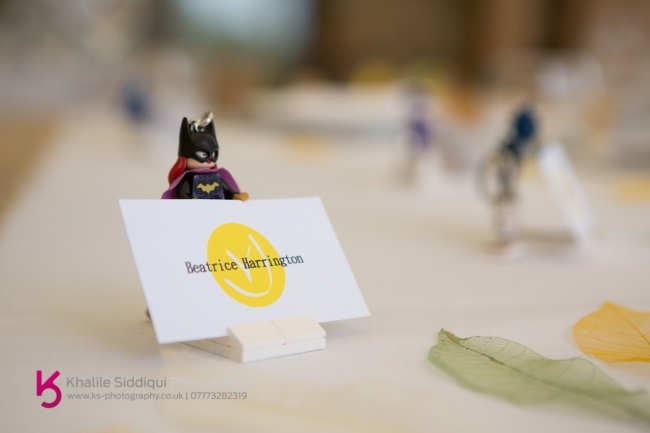 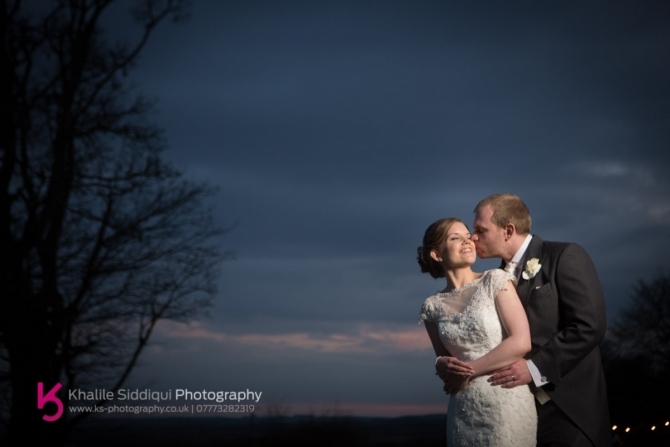 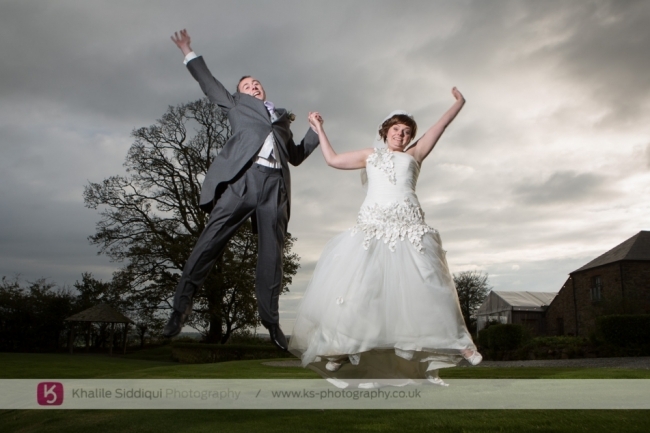 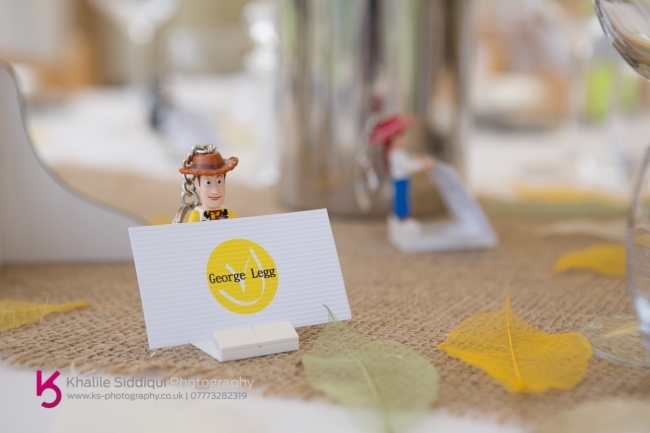 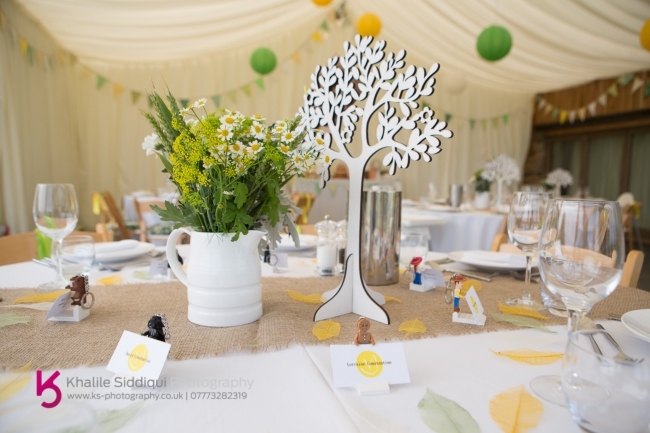 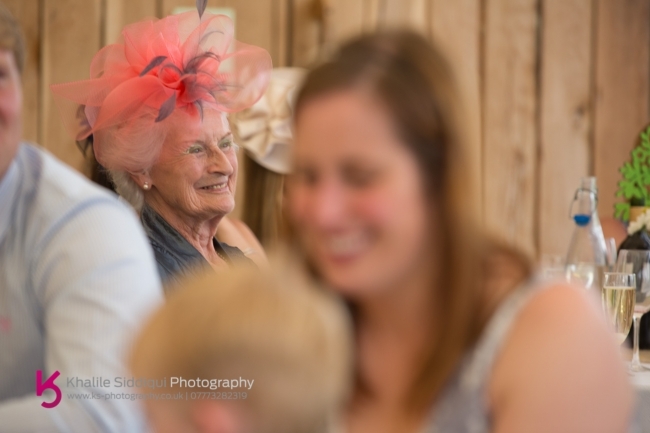 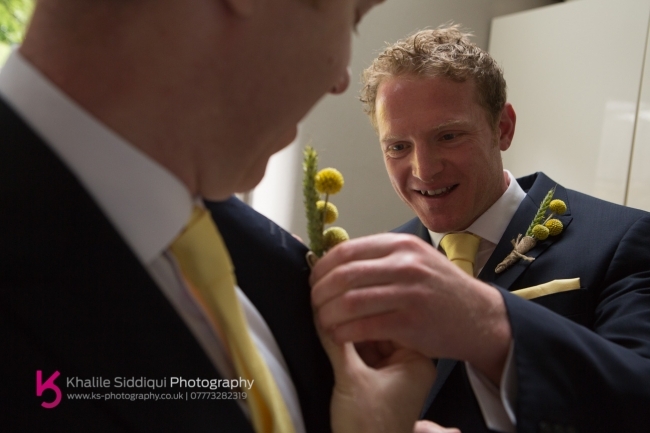 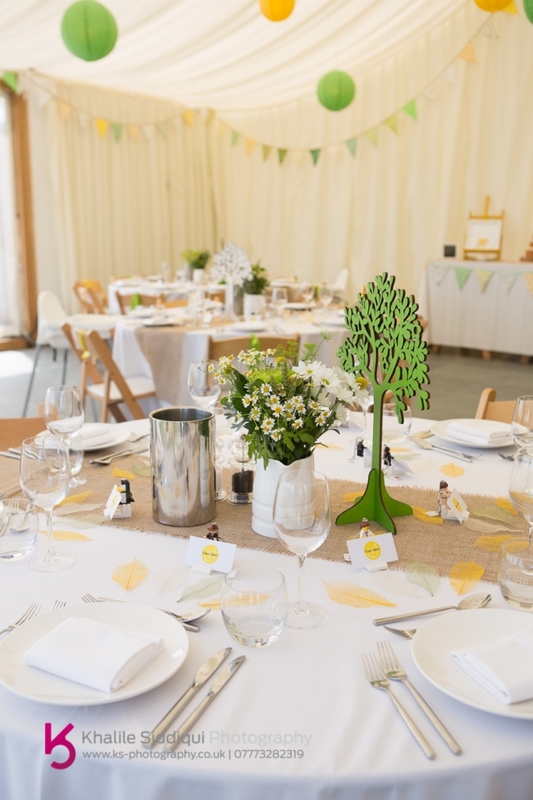 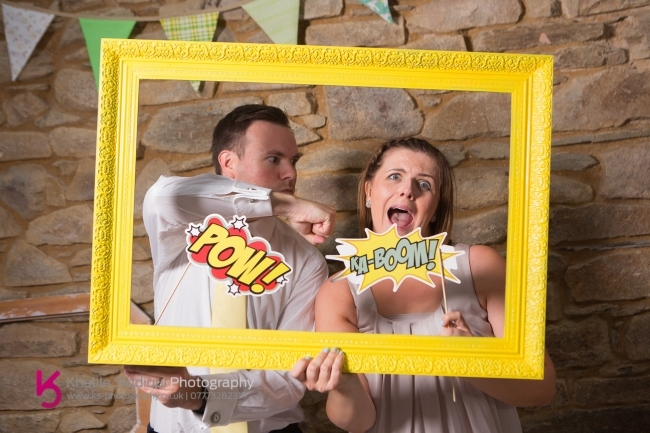 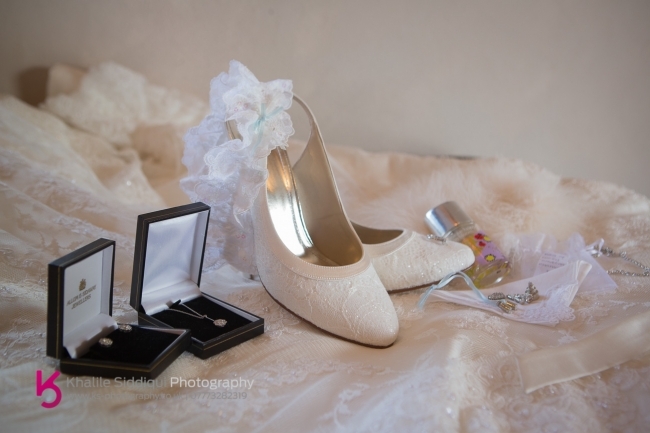 I always think its lovely when you can put a personal touch into a wedding. 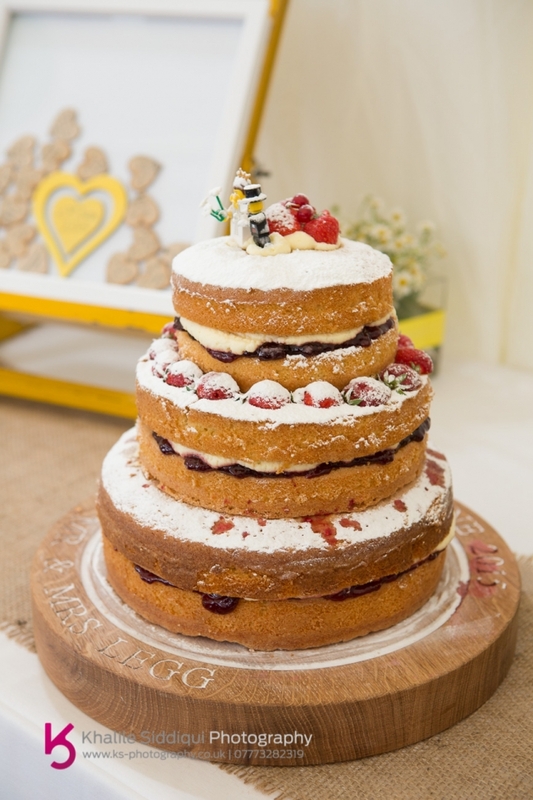 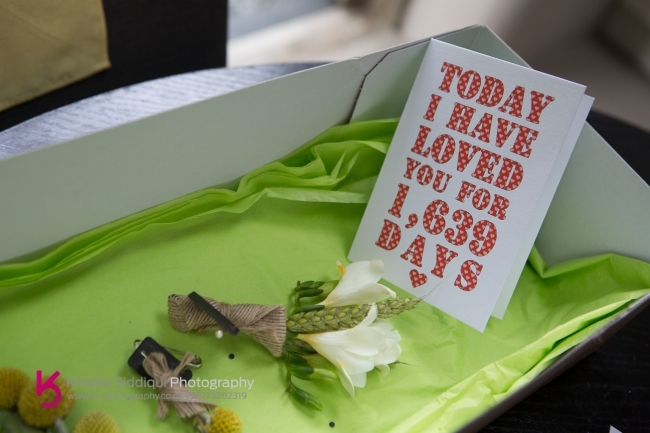 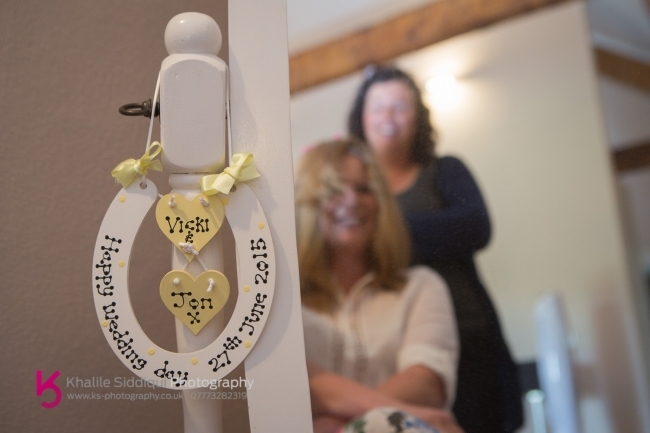 Speaking of which, Vicki and Jon went into a local shop to them in Dorset and mentioned to the own that they were getting married and bless him, he sent them a personalised cake board with their names and wedding date engraved on. 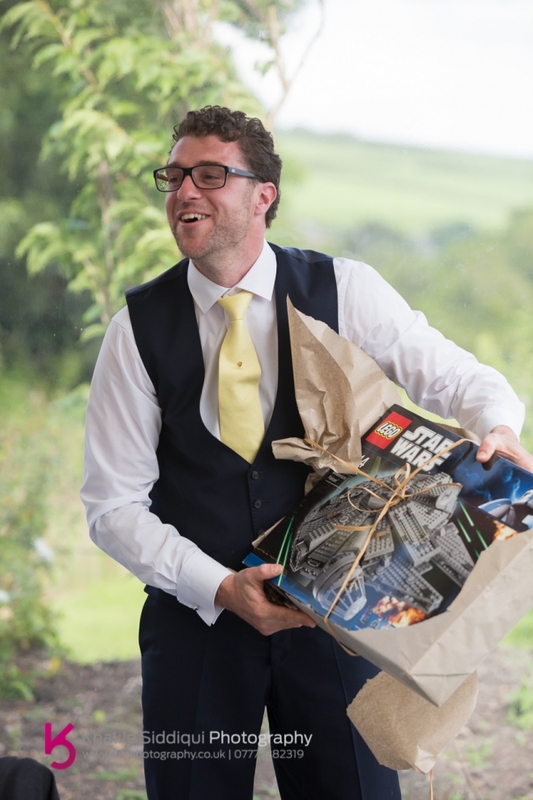 Now THAT's customer retention! 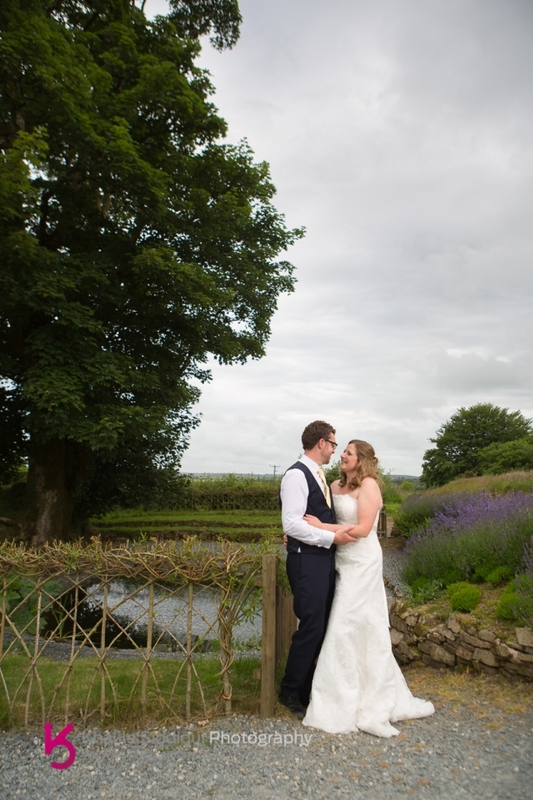 After a few photos around the grounds we drove Vicki and Jon the short drive to Colliford Lake in our Mercedes sport. 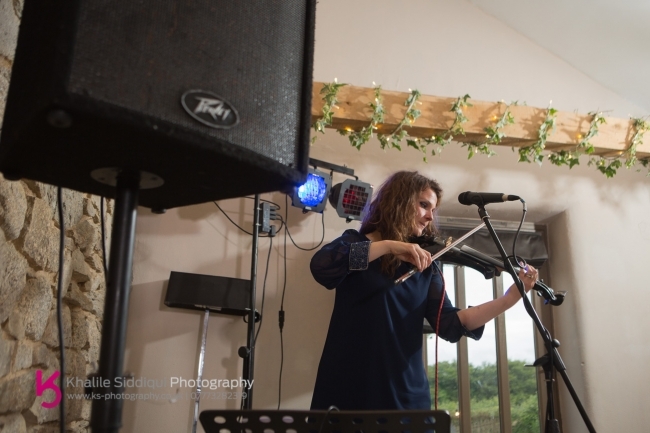 Vicki and Jon brought the beautiful Nina Gargia and her violin down to entertain their guests from Dorchester. 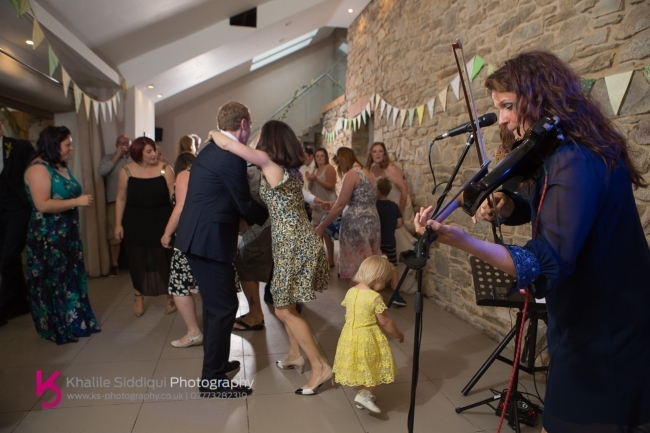 And while they weren't dancing to Nina's fiery fiddle driven celtic and pop music, they were lining up for some studio based antics supplied by your truly.